"Grizzly!" The very word triggers a host of descriptions given to this awesome creature: savage predator, walking nightmare, animal monarch. Rising above these labels is a creature that embodies all that is wild and mysterious in the animal kingdom. Wildest and most mysterious is the arctic grizzly that lives on the far northern tundra. 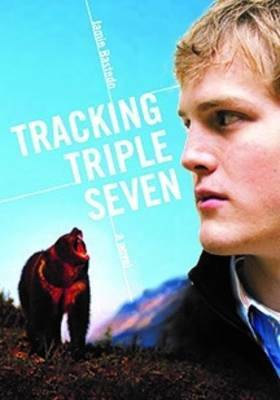 "Tracking Triple Seven" gives you a "bear's-eye view" of the world of this little known animal. Witness the birth of three tiny cubs in a frozen tundra den. Feast with a grizzly on a land exploding with blueberries. Share in the troubles and triumphs of a bear family's quest to claim its rightful place in the biggest wilderness on earth. And join Benji, a city slicker kid who visits his father's arctic diamond mine for the first time. Benji's adventures take off when he accidentally joins a team of grizzly bear biologists and their Inuk pilot. Together they mix cutting-edge technology with good old bush wisdom in a death-defying search for "The Real Grizzly" of the arctic barrens.